Taylor Properties, is a Tuscaloosa Alabama based company that leases and manages office, industrial, retail and small home properties throughout the Tuscaloosa area. With a track record of value-added property management, and a history of successful leasing and sales. Taylor Properties has a reputation for outstanding customer service. We treat small and medium-size property industrial, retail, office and apartment owners and tenants with the level of customer care they deserve. Taylor Properties is a unique commercial real estate company in the Tuscaloosa area. We are here to help you find the perfect property. Taylor Properties is a Tuscaloosa Alabama company. We offer Self Storage Units, Climate control storage units, RV storage and Alabama football RV parking. 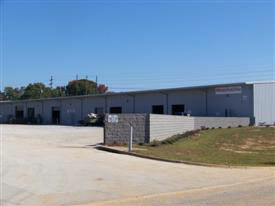 When thinking of Tuscaloosa storage units and Tuscaloosa RV parking, call Taylor Properties.